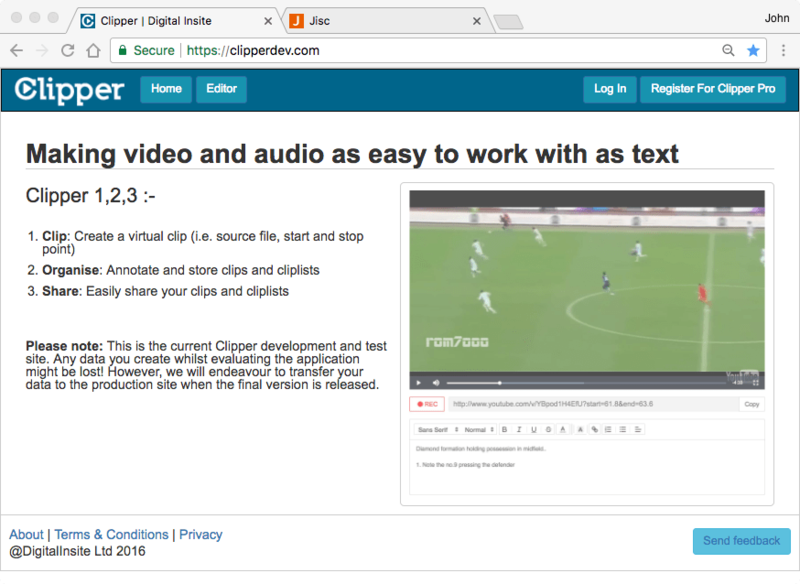 We have created a working prototype of the Clipper toolkit that you can try out, it is available at this link https://clipperdev.com/, where you can register for an account for free and start experimenting and saving your clips. Demonstration videos and training materials are available at the ‘Clipper Training Resources‘ section of this website. 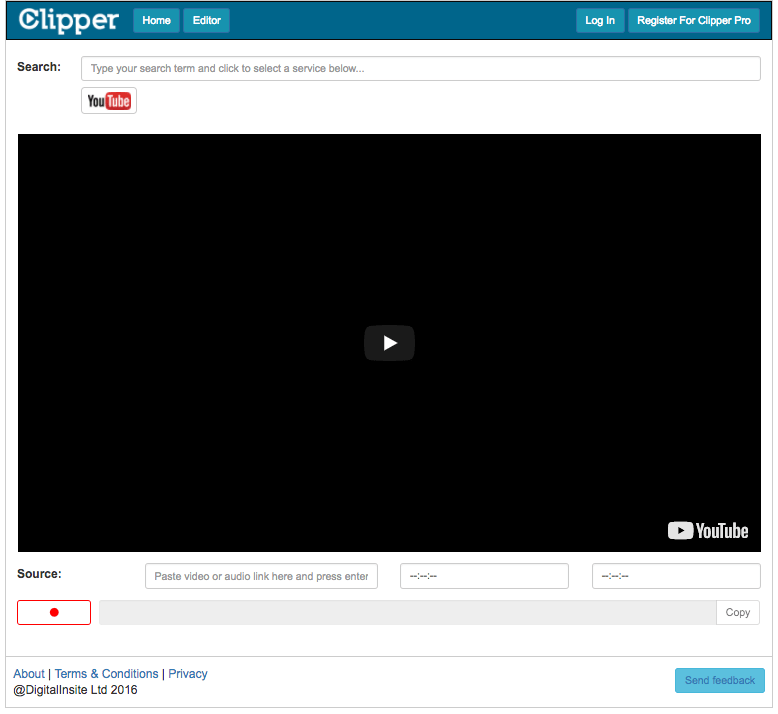 But if you don’t register, or if you you have not logged in you can still make clips with what we call the ‘Basic Clipper Editor’ – this lets a user create one clip at a time and obtain a URL to share, but does not save the clips into a user’s account. The Basic Clipper Editor is really intended to let people try out Clipper before registering for an account. To access the Basic Clipper Editor you just click on the Editor button on the Clipper home page without registering or logging in. Both the Basic and Pro Editors work with YouTube and any online MP3 or MP4 files. We have also been conducting successful trials with other sources like Vimeo, SoundCloud and online file sharing services like Dropbox and will post more information about that soon. For information about how Clipper works please visit the ‘How Clipper Works‘ section.